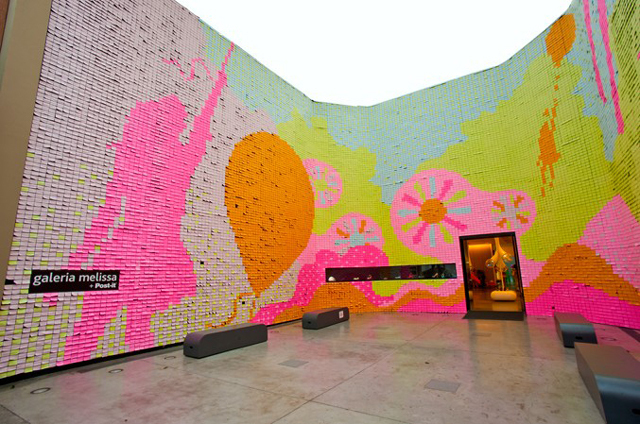 Brazilian plastic footwear maker Melissa worked with 3M to create an amazing opening exhibit at their São Paulo flagship store, Galeria Melissa, using 350,000 colored Post-its. 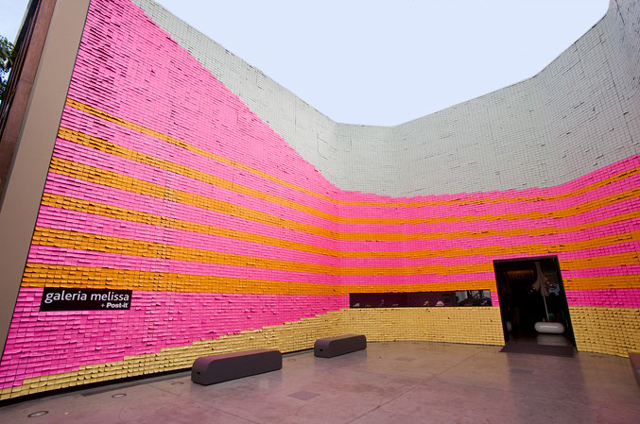 30,000 of them had spontaneous messages of love written on them from local fans. The end result is beautifully captured in this time-lapse video that took 5 months to finish.